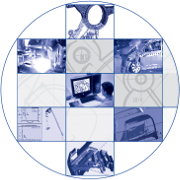 Founded in 1993, LENAM offers from its very beginning high-tech services, such as complex support of the product development, increase of machine performance and operational enhancement, optimisation of technological processes, identification and elimination of malfunction causes, development and delivery of single-purpose machines and jigs and many other services. The Design Department provides complex solution of the given task, starting from an idea and concept via design and drawing documentation (models, drawings, manuals, risk analysis …) to the accomplishment in collaboration with production partners. LENAM carries out special tests according to the customer’s technical assignment; design and execution of experiments according to the LENAM’s own methodology for the given purpose and, among others, also measurements on the customer’s equipment at his premises or on the running vehicles. CAE simulations allow solutions of special problems occurring in the technical environment, such as multi-physical analyses, dynamical simulations of mechanisms, CFD analyses, crash analyses, virtual tests, optimisation of machines and technological processes and many others.